I couldn't have wished for a better instructor. 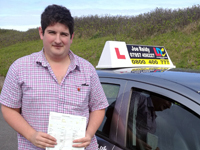 I was quite nervous when I first started, but Joe guided me through my driver training and enabled me to pass 1st time!! I recommend Joe and LDC to anyone! Joe was really patient with me, and his advice and encouragement helped my confidence loads!! I passed 1st time, and can't wait to get out on the roads. 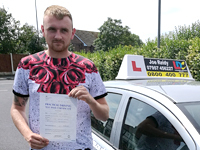 Joe was a great instructor, he is really patient and the LDC system was dead easy to understand. I'm looking forward to getting on the road now, in my new car!! Cannot thank Joe enough for getting me over the line. He gave me the confidence and teaching I needed. 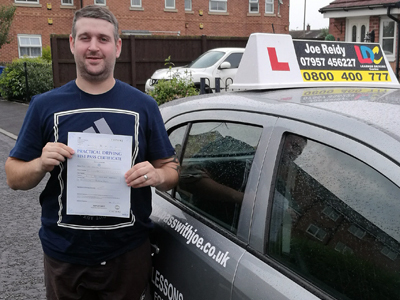 Would recommend Joe to anyone and once again thank you. 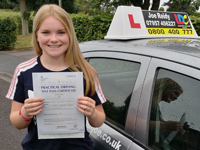 Before I started my lessons with Joe I dreaded the thought of driving, however from the get-go he helped to build my confidence and abilities on the road. 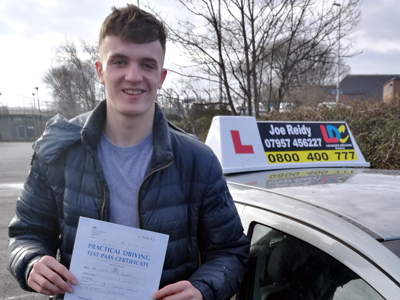 Now having passed my test I can't wait to start driving, and I can't recommend Joe enough! Thank you for all your patience and help along the way! I had wanted to drive for ages. When I heard about Joe, and LDC I decided to start my lessons. Joe explained things really clearly and the LDC system is great. 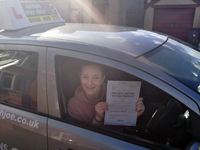 So happy I passed 1st time!!! Had a blast learning with Joe. He explained everything really clearly and gave me loads of confidence. I passed my test and it's really helped me in my new job. Thanks Joe! 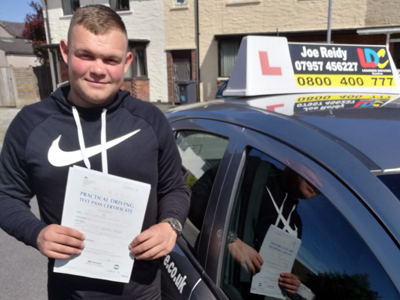 Joe explained things really clearly and helped me feel really confident about driving. I enjoyed the LDC way of learning and I can't wait to get going in my new car! 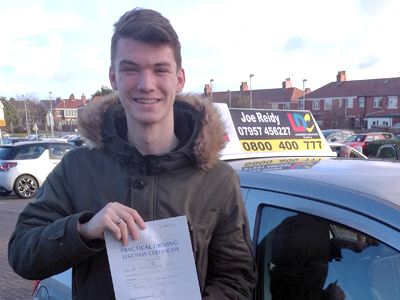 I had a great time learning to drive with Joe. He was really patient and he explained things clearly. 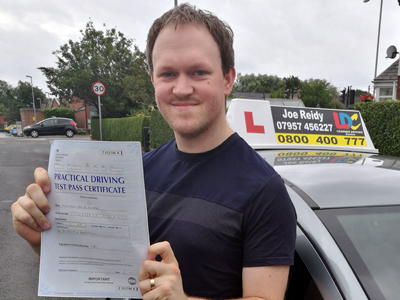 He gave me loads of confidence, and I'd recommend him to anyone looking to pass their test. 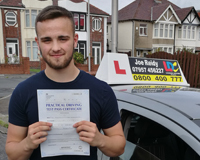 I passed 1st time and I can recommend Joe for being so patient. He's very knowledgeable and he even went out of his way to do extra work to help me. Thank you so much Joe!! Thank you Joe for all your help. 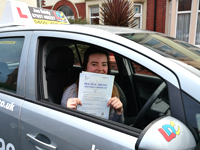 I'm delighted to have passed my test! I would recommend you and LDC to anyone! 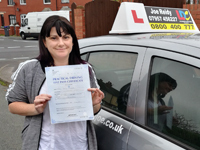 Amazing instructor, boosted my confidence loads, would recommend Joe and LDC to anyone. Thank you! 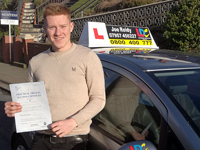 I've had a fantastic experience learning to drive with Joe. The LDC system made everything make sense. 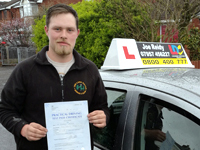 Joe is a knowledgeable and understanding instructor, who tailored my lessons perfectly! Joe has been amazing. Very patient instructor, and I would highly recommend him. 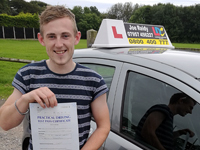 After coming to him from another instructor, he made driving enjoyable again. Can't wait for my son to start lessons with him. Thanks Joe!! Joe has been fantastic. Really patient and explained things really well. Always going out of his way to ensure that I got the best experience. Thanks Joe! 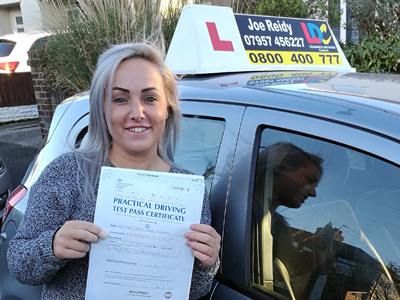 I was so nervous before I started taking driving lessons, but Joe made me feel extremely comfortable and brought my confidence out! Joe gave me lots of positive encouragement on every lesson. Thanks for helping me pass!! I can't thank Joe enough for all the help he has given me. The lessons were great and easy to follow. I would recommend LDC driving school to anyone. 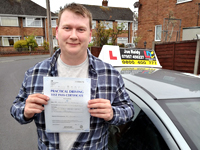 Definitely recommend Joe from LDC driving school! Has the patience of a saint, so calm and makes you feel comfortable driving. 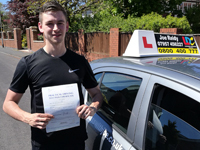 I have passed first time with Joe and I think that says it all! Once again thank you Joe! 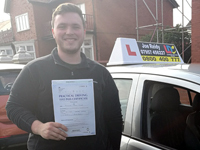 Joe was very knowledgeable and he had a calm and relaxed approach. 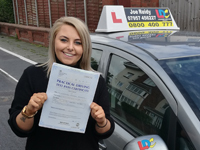 The LDC system is great, videos, books and mock theory tests are all available. Joe knows the priorities to work on, whilst covering everything well. 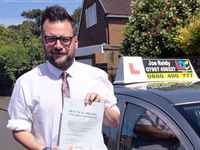 After looking at many different driving schools, I decided to contact Joe from LDC. He was fantastic, and easy to talk to. An excellent tutor. 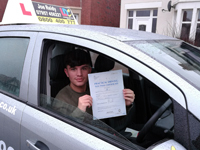 I picked up the manoeuvres quickly, and Joe has given me the confidence to drive. 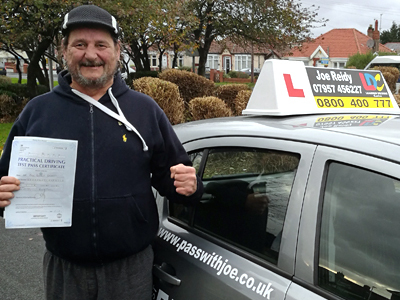 Having not driven for many years, and now being a 'mature' driver, Joe gave me the motivation and knowledge to pass with ease. I can't recommend him highly enough. I've really enjoyed working with Joe. 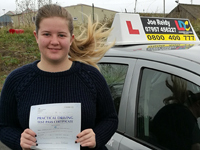 He put me at ease straight away, which gave me confidence in my driving. The LDC system made everything really straightforward. I would thoroughly recommend learning with LDC, and Joe. 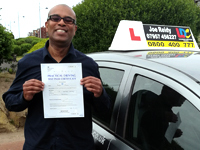 Excellent instructor, friendly, informative and knowledgeable. Great experience all round! 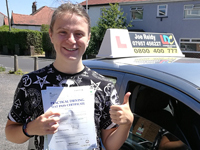 Joe is an excellent teacher and helped me to pass first time with only 2 minors. It has been a great experience, and I would highly recommend him to anyone. I put off my test for a long time until I met Joe. I had my lessons with him, and had a great time learning with him. 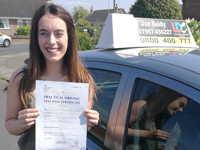 I went for my test, and passed 1st time! The help and advice you get from Joe is top! 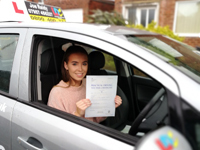 I would definitely recommend LDC driving school to anyone!